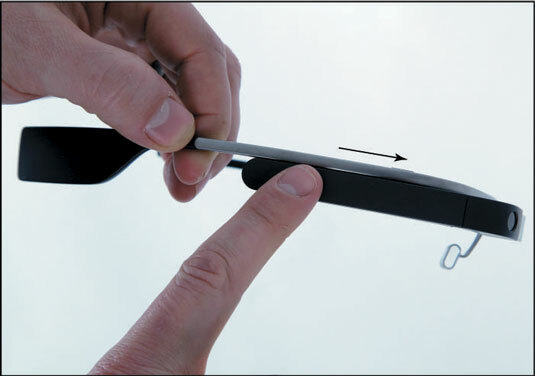 You must perform certain basic operations every time you wear your Google Glass device. The learning curve isn’t flat, but it’s not as steep as you may think. 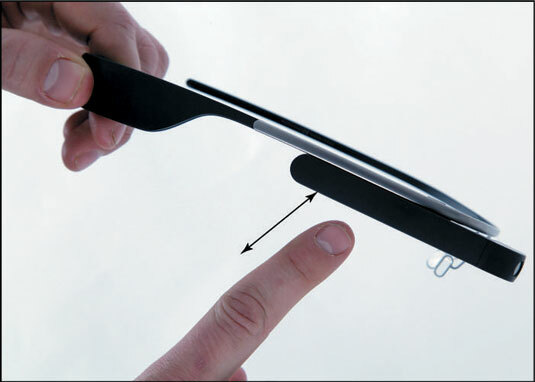 All the basic gestures are done on the flat surface on the right side of the device, called the touchpad. Some of the gestures are similar to those used on all other touchscreen devices. When you swipe on your Glass, you’re moving objects on its screen. To swipe, just put your finger on the touchpad and drag it to another spot. You can swipe forward, backward, up, and down. As you swipe, objects on the screen move in the direction in which your finger is moving. If you want to scroll quickly through a long list of notifications, for example, swipe quickly on the touchpad. Tapping means placing your finger on the touchpad to confirm an action onscreen. Think of it as the equivalent of pressing the Enter key on your computer keyboard or, if you prefer, tapping the Enter key on your smartphone or tablet. If you use a smartphone, selecting or confirming items on the Glass screen comes naturally. All you have to do is tap the touchpad. You can cancel an action by swiping your finger from the top of the touchpad to the bottom, as shown. Google calls this action the dismiss gesture. If you use the dismiss gesture while you’re on the Home screen, for example, Glass turns off the display. Apply this gesture if you want to move back one step anywhere on the timeline. If you don’t want to tilt your head up to wake up your Glass, you can change the wake-up setting so that you can wake Glass only by tapping the touchpad.